As a Chamber of Commerce, we play a very important role in connecting local Edinburgh businesses with opportunities across the UK and internationally. The Edinburgh Chamber forms part of a wider network, including 20 local Chambers across Scotland, which are supported by the Scottish Chambers of Commerce. We are also one of the 53 Chambers across the Britain accredited by the British Chambers of Commerce, meaning we can access a range of national influencers and senior Politicians, as well as being represented at Westminster. 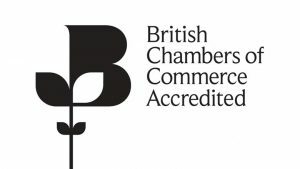 The Chamber’s accredited by the British Chambers represent thousands of businesses of all sizes and sectors, employing over 5,000,000 employees. As well as our national reach, we maintain strong relationships with Chambers, trade bodies and businesses overseas. This has been of particular importance over recent years, following the Brexit referendum result in 2016. Such relationships enable us to inform local businesses on trade opportunities available, support them with their international growth strategies and connect them with markets globally. Organizing Committee for China Beijing International Fair for Trade in Services (CIFTIS). Through this work, we are fortunate to work with a number of local partners who can support businesses through all steps of their international journey. You can find information on them below. We also cooperate with numerous international Consulates here in Edinburgh.